Part 2 of 6. -- Vigilante hacker Scott Mitchell has been arrested, suspected of killing an elite trader on the streets of New York. But his former colleague Rebecca Macdonald doesn't believe it for a moment. A killer is on the loose, targeting members of a secret online group called The Water Boys. The group is already in the frame for helping to develop the malware set to infiltrate the financial sector. Meanwhile, the first stage of The Salesman launches his plan to cripple the market for his own profit, and the NCCU are clueless. Will Mitchell be able to clear his name of murder? Will they figure out who the other members of The Water Boys are in time to warn them? And how will they stop MalCom from destroying the global stock markets. 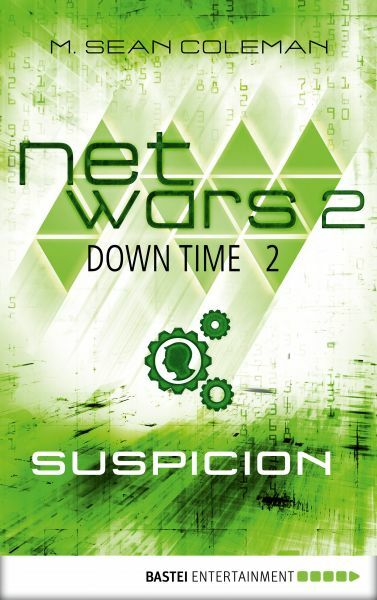 -- netwars: Down Time is part of a transmedia project based on real facts and cyber-attack scenarios. The project spans multiple story platforms including a fact-based website (www.netwars-project.com) and the interactive graphic novel app "netwars: The Butterfly Attack." For fans of Dave Eggers, THE CIRCLE; Daniel Suarez, DARKNET; the movie ENEMY OF THE STATE, and espionage and high-tech thrillers. -- About the Author: M. Sean Coleman launched his career as one of the original writers on Hitchhikers Guide to the Galaxy Online. He has since written and produced original, award-winning shows for MSN, O2, Sony Pictures, Fox, the BBC, and Channel 4. He continues to write novels, graphic novels and TV scripts from his home in London.